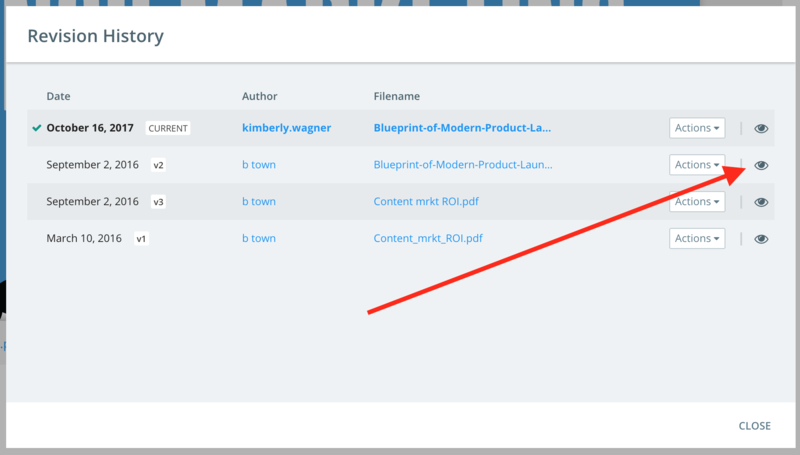 Kapost allows you to choose which document you'd like to show in Gallery. This comes in handy when you want to have a document show in the Gallery while you are simultaneously refreshing the asset. 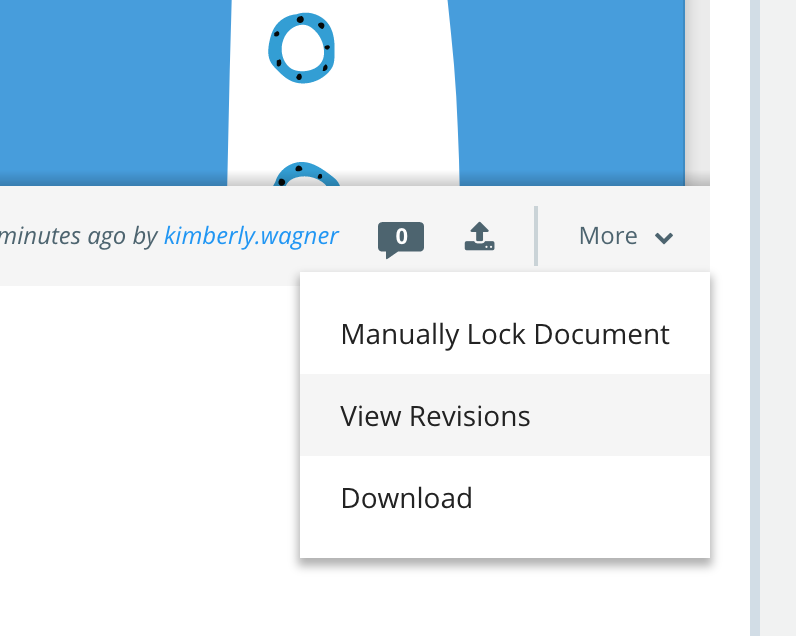 This way you can upload as many versions as you need as part of the refreshing process and change out which document is previewed in Gallery when you are ready. Keep in mind that making this adjustment will change the download and preview options in Gallery only. The share button will always link to the current published URL. 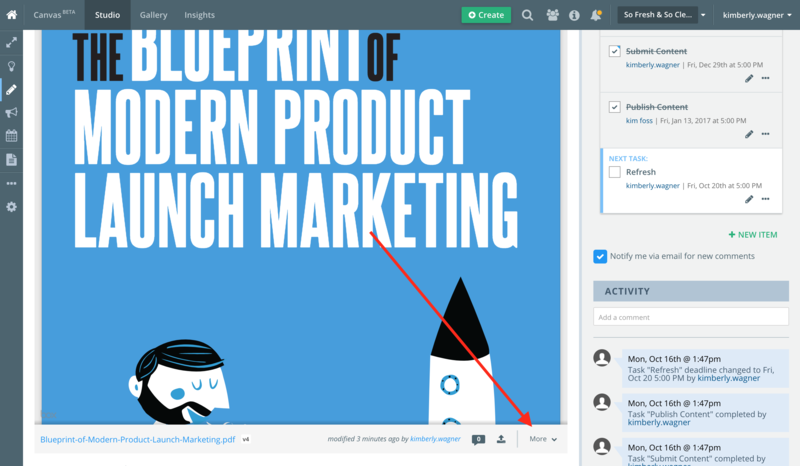 To start, you'll navigate to the bottom right corner of the appropriate asset in Kapost and choose the More button. Keep in mind this feature is only available for document and any file body types. Once the asset is added to the Gallery, Kapost will show the most recent document in the Gallery by default. To see which document is currently displaying in the Gallery look for the check mark on the left side of the revision date. Under the Actions Menu choose Set as Gallery Preview to choose a specific document to show in Gallery. If you choose the eye, you'll be taken to a preview of that particular document. 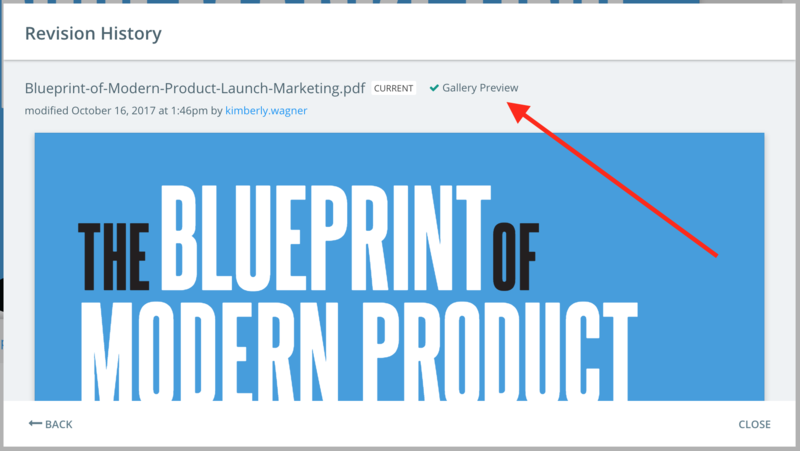 If you are previewing a document that is not the current preview in Gallery, you'll have the option to make it the current preview. 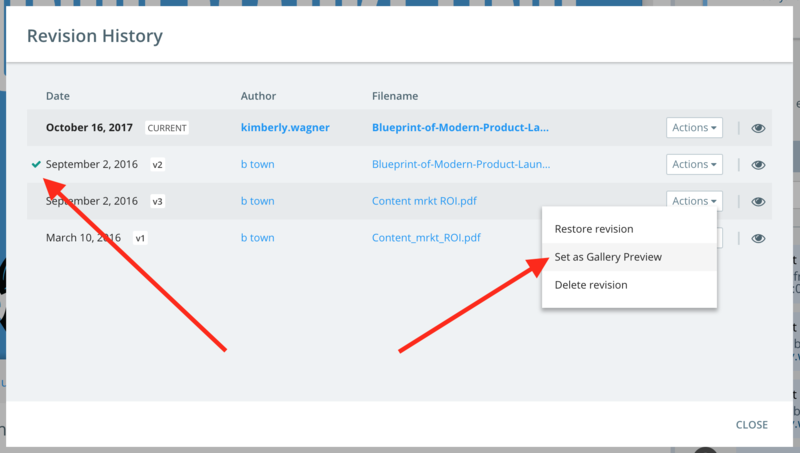 When you upload a new revisions you'll be prompted if the new document should be the Gallery preview. If you select yes, the most recent version of your document will display in Gallery moving forward unless you go back and manually adjust it. You can also access the revision history from the Gallery section of any asset. This allows you access to all the same features as you're adjusting which collections the asset will appear in and other critical Gallery information. A good best practice is to confirm which document is previewing in Gallery each time you publish a document. This will ensure that your preview/download and share options all stay in sync.